Many business use employees or consultants that meet with their clients away from the office. This creates a problem of tracking the hours that each employee spends with clients in an accurate manner. Many companies find that using our Consultant Timesheet Template is the answer to this problem. 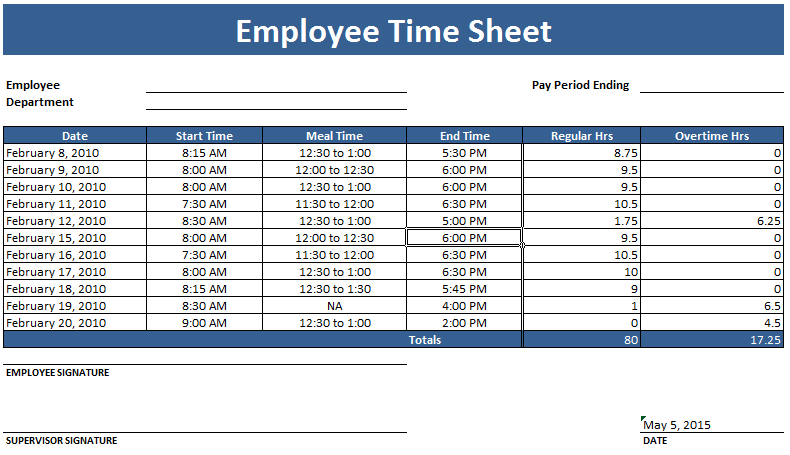 Our Consultant Timesheet Template is designed to track each hour a consultant spends with a client. The consultant uses the timesheet to record each hour spent with a client. 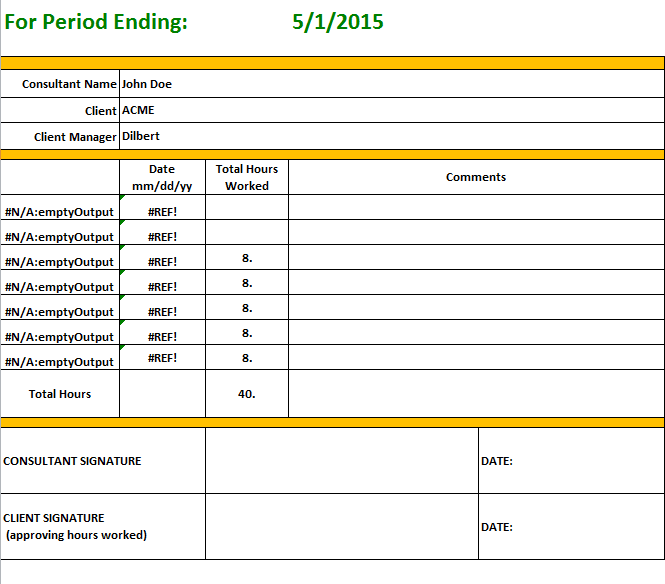 At the end of the week or of the time to be spent with the client, the employee uses the Consultant Timesheet Template to have the client sign off on the hours. 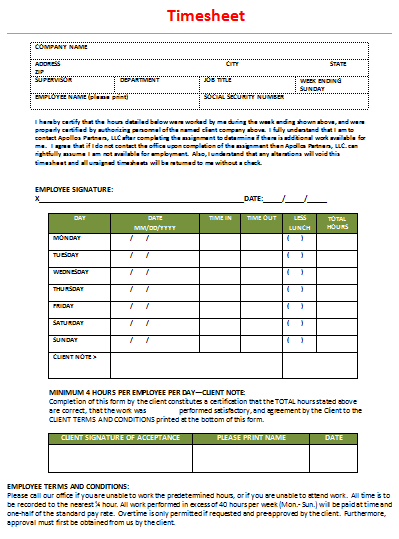 Then, the employee can give the client a copy of the timesheet right then and there. 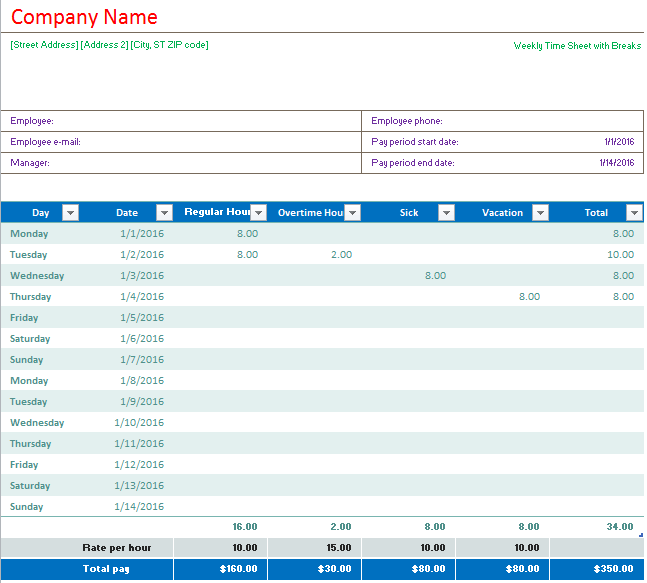 Since our Consultant Timesheet Template saves all the information from the template on a computer for backup, the business has a ready account of its earnings for the week. It also has a list of the service provided to each client on a daily or weekly basis. 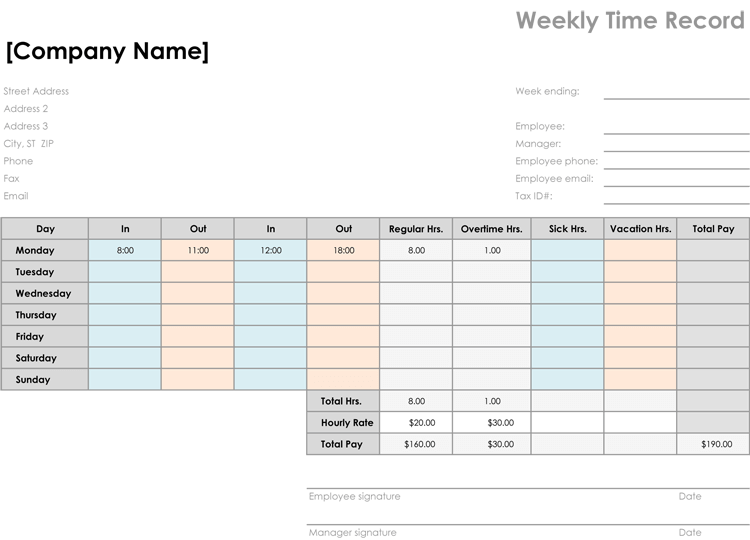 The Consultant Timesheet Template allows the user to modify the templates’s colors, fonts or column headings to make the template more useful to the company. Some companies provide more than one kind of service and the template can be easily modified to suit whichever service you are providing. A part of providing great service to clients is being able to reproduce documents for them that are required for taxes or insurance. Our Consultant Timesheet Template allows you to accurately produce any copies of the original timesheets that are needed for your clients. This is a great help to clients who lead busy lives. 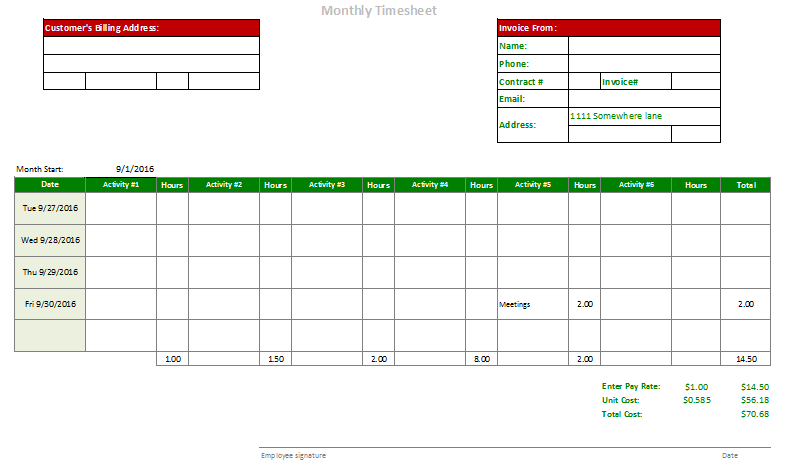 Clearly, our Consultant Timesheet Template has much to offer both your business and your clients. Our templates are the ones to select to assist with all the needs of your business.